Most sports photographers dream of photographing the Olympics. In a global event filled with such high intensity, drama, and action, it's difficult to imagine not capturing a jaw-dropping moment. 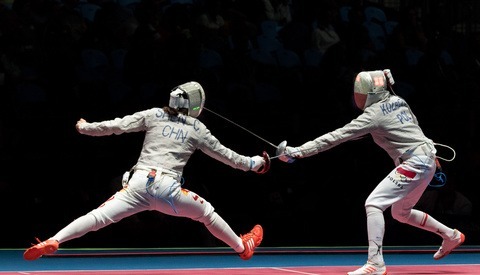 But what distinguishes the best Olympic photographs from the great? 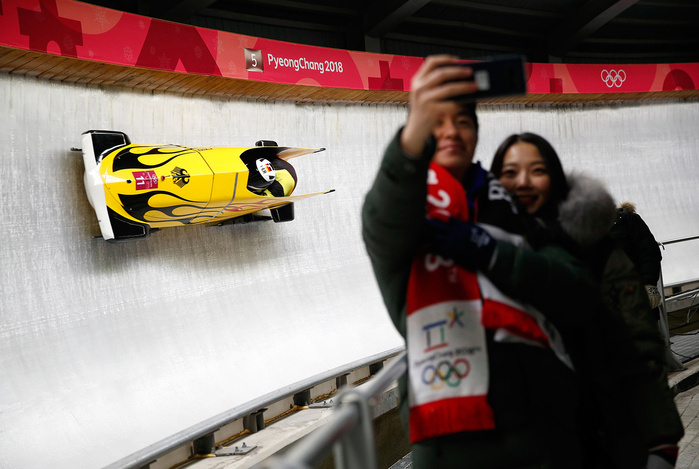 Below are the top ten Winter Olympic photographs accompanied by commentary from myself and Stuart Hannagan, Vice President of Editorial at Getty Images, on what makes these photographs stand out from the rest. Patricia Mangan just before competing in Alpine Skiing Women's Downhill. Photo credit: Alexander Hassenstein/Getty Images. Most sports images are taken from the sidelines or from easily-accessible spots within the event area. Thinking outside of the box and looking for ways to emphasize an athlete or subject with light and color is always a good idea. 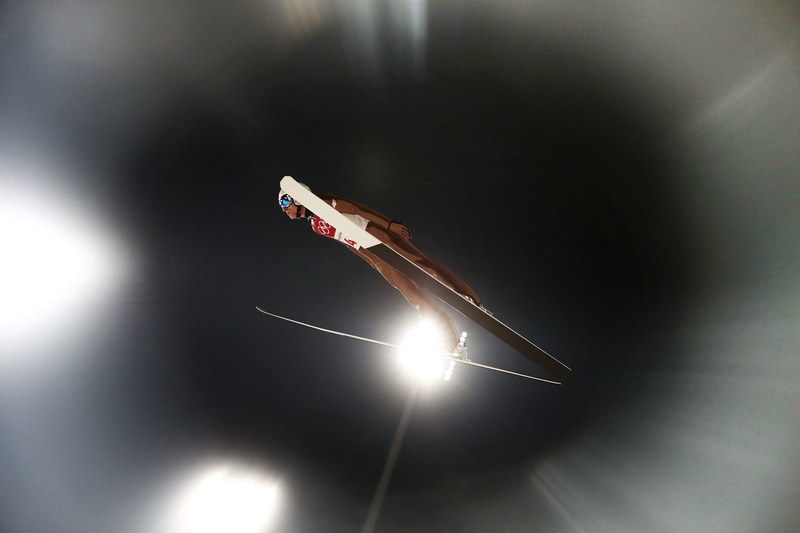 Through looking for unique angles and shooting low to the ground, Getty Images photographer Alexander Hassenstein was able to capture a unique perspective of the sport. His image emphasizes the athlete using color and space and could make you feel how the skier is feeling just before dropping in. The best sports photographers know when to point the lens into the crowd rather than at the action of the sporting event. To capture this moment, Getty Images photographer Richard Heathcote did exactly that. This image stands out due to the emotion of the crowd and the rhythm this produces within the photograph. "The North Korean cheering squad that followed their team into these Games have been one of the stars of the Games," said Hannagan. "Fans are always important, but their rarely seen choreographed cheering routines have stolen the show." 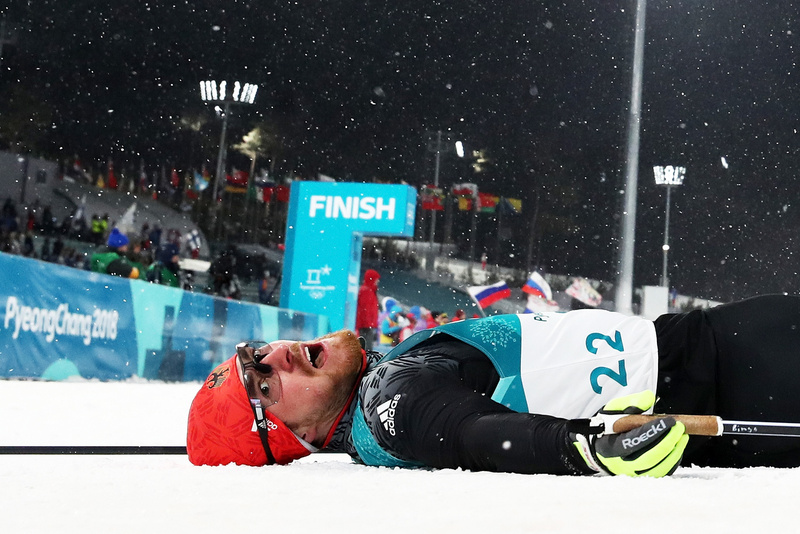 Thomas Bing collapses to the ground in exhaustion after completing the Men's Sprint Classic Quarterfinal. Photo credit: Al Bello/Getty Images. 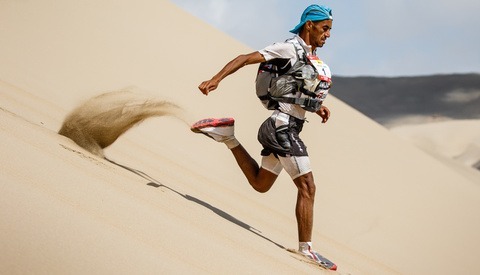 Capturing the emotion of athletes is just as important as capturing the action-packed scenes. Facial expressions and body posture are vital in storytelling, as they help show the intensity of an athlete's sport. To capture this image, Getty Images photographer Al Bello quickly dropped to a worm's-eye view in order to capture the raw emotion of cross country skier Thomas Bing after just completing the Men's Spring Quarterfinal. The editor and his intuition is also to thank for creating such a powerful photograph. "The full frame image itself is very wide and shows the entire scene," said Hannagan. "However, the skill and vision of editor Cliff Hawkins meant he was able to crop and create the focus on Bing’s exhaustion." Celia Aymonier races for France. Photo credit: Matthias Hangst/Getty Images. Photography is all about good light, and in this photo, Getty Images photographer Matthias Hangst proves this to be true. "An appreciation of how to use light is a key tool," said Hannagan. This appreciation is what gave Hangst the patience to wait for the right moment before clicking his shutter. Cross-country skiier Ingvild Oestberg races through the course. Photo credit: Matthias Hangst. It's easy to overthink and over-complicate the creation of an image. However, it's often the most simple compositions that capture our eye. Getty Images photographer Matthias Hangst uses the rule of thirds and color to create a basic, yet effective, final image to portray a cross-country ski race. 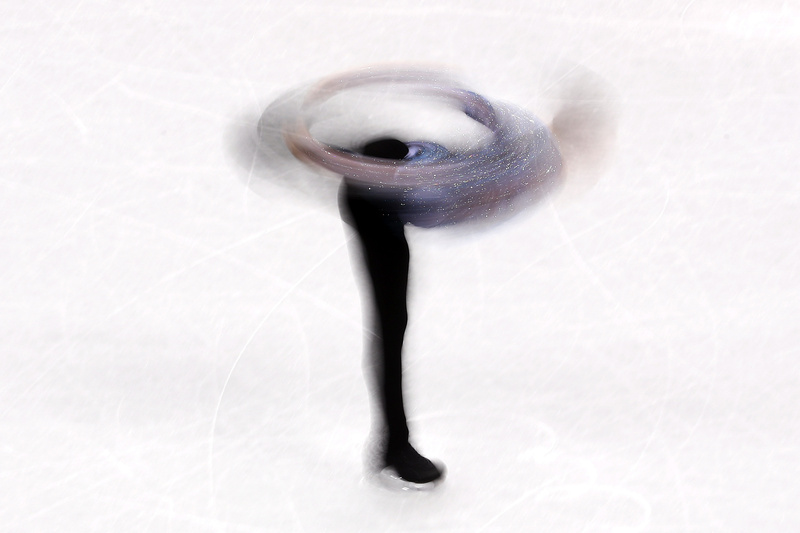 Figure skater Adam Rippon twirls on ice during a figure skating event. Photo credit: Dean Mouhtaropoulo/Getty Images. Fast shutter speeds are often synonymous with photographing sports. However, knocking your shutter speed down a few stops can create unique, artistic, and eye-catching results. "It’s a technique that’s put to good use in figure skating," said Hannagan. "It perfectly displays the raw power and speed, along with the grace and beautiful shape [of the sport]." Freestyle skiing. Photo credit: Quinn Rooney/Getty Images. 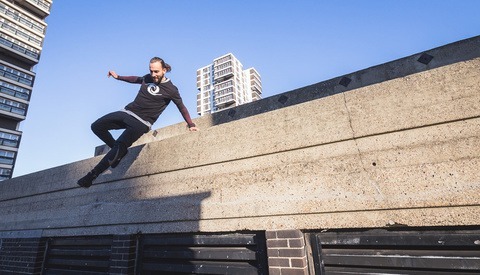 "Photographers can spend up to six hours shooting the same event and at times get the opportunity to play with being unique and different," said Hannagan. When shooting the same event for a long period of time, like Getty Images photographer Quinn Rooney was, there's room for creativity. While photographing freestyle skiing, he wasn't afraid to stop his shutter speed down to an extreme, which created an image bordering on fine art. Olympic Ski Jumping. Photo credit: Matthias Hangst/Getty Images. A key skill for any photographer is to be extremely observant. This skill paid off for Getty Images photographer Matthias Hangst when he realized that the snow's Olympic rings were appearing in ski jumpers' goggles halfway down the jump. "[This is] a difficult image to capture because of the incredible speed of the skier and the ability to place the rings perfectly in the goggles," said Hannagan. Olympic Ski Jumping. Photo credit: Ryan Pierse/Getty Images. 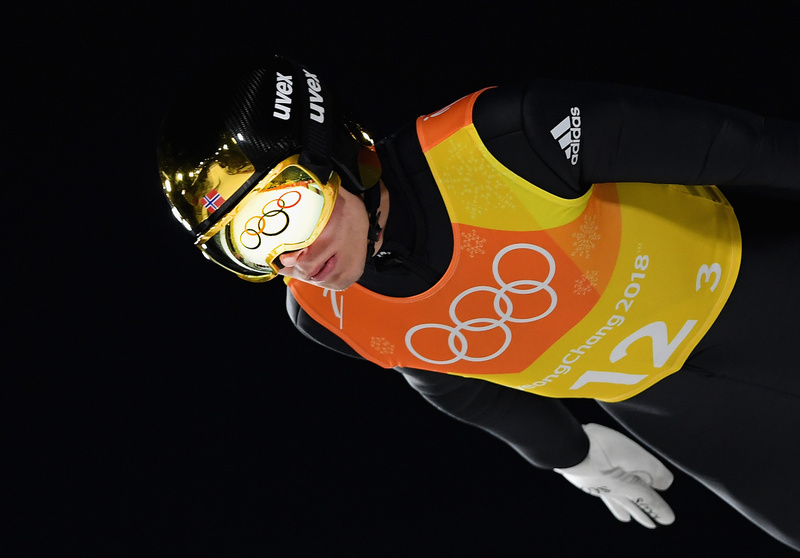 Rather than shoot this ski jumper head-on, Getty Images photographer Ryan Pierse positioned himself below the flight path in order to capture the moment the jumpers intersected with the lights. "Pierse has beautifully captured a skier in the middle of the night lights that have flared perfectly to frame this jumper," said Hannagan. Speed Skating. Photo credit: Jamie Squire/Getty Images. 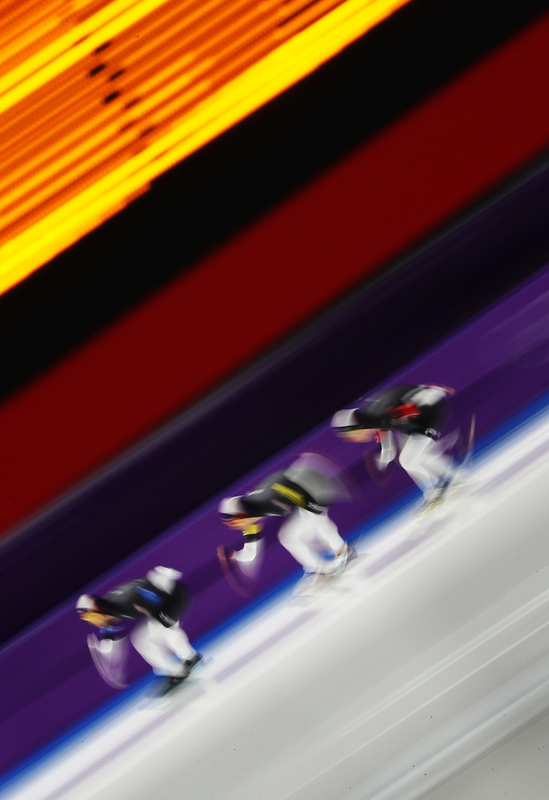 Just like figure skating, speed skating is another great opportunity to stop down your shutter speed in order to capture motion, which is exactly what Getty Images photographer Jamie Squire did. 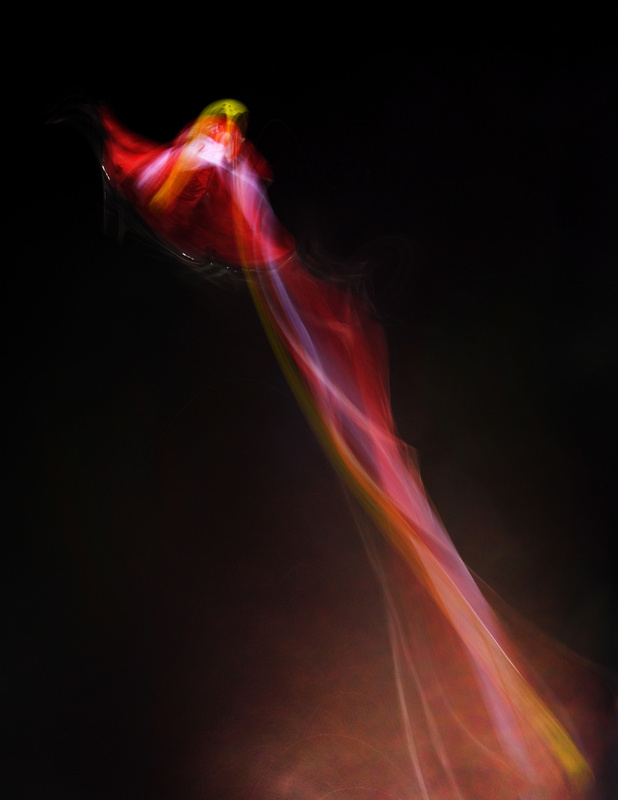 But in addition to the motion blur, the use of color makes this image strong and different from the rest. "A basic still frame of this image would be quite dull and boring," said Hannagan. "But through photographic techniques of slow shutter speed, the photographer has managed to photograph something quite striking." Most would think that fast shutter speeds and good light is all it takes to capture solid sports images. But much more goes into making a great photograph than holding down the shutter and hoping to catch a worthy moment. Just as with any other genre, the sports photographer has to consciously decide what to include in the frame and how to go about doing so. General guidelines and principles of art and photography, such as the rule of thirds, color theory, rhythm, balance, emphasis, movement, etc., should and still do apply to sports photography. All of these aspects, as well as a photographer's intuition, and ultimately luck, led to these top Winter Olympic photographs. All images were used with the permission of Getty Images. It's quite beautiful - almost looks like a painting! 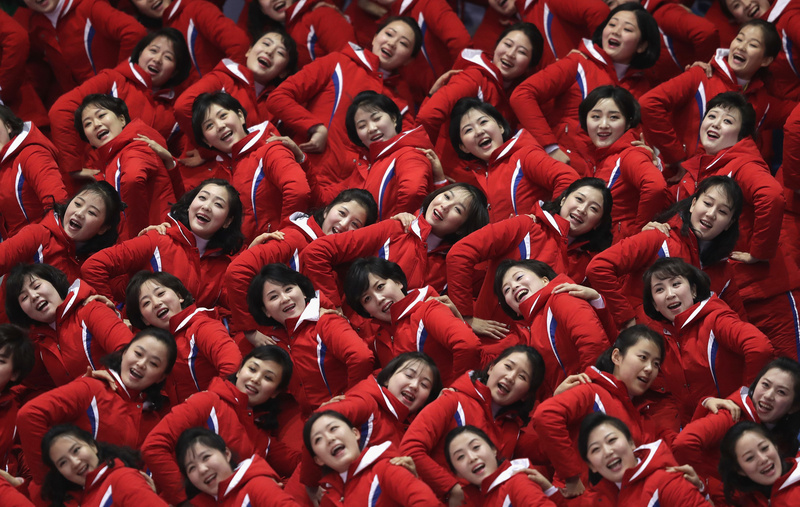 My personal favorite is the second one, showing the North Korean "cheer squad." What I love about these images is that they all look like they could be hanging on a museum wall, not just in a newspaper or magazine. some cool stuff but i was expecting more from the top 10 from the entire olympics. 1/2 these were just like regular shots. with the worlds best photographers using the worlds best equipment i had higher expectations. These are taken from the entire 2018 Winter olympics. Can I ask what do you mean by regular shots? These are all carefully composed and created, and in my opinion beyond a "regular" sports image. sure, first one of the racer in the gate. that can be at any race all year, nothing says olympics. 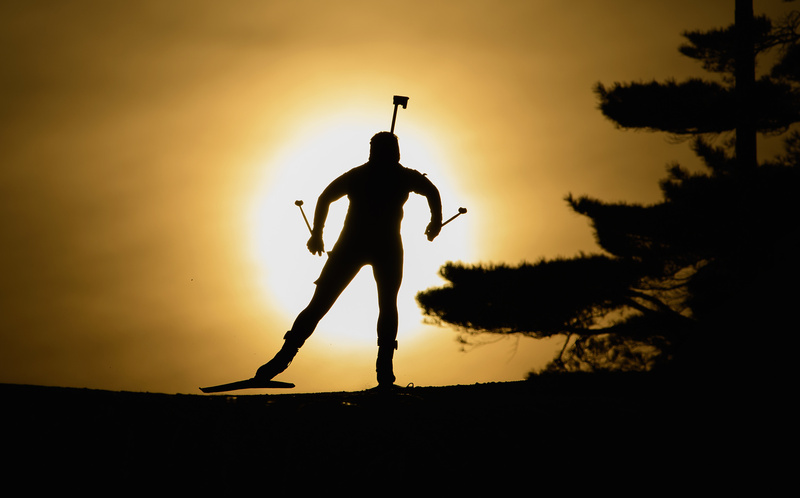 the biathlon skier in the sunset is the same thing, nothing says olympics and if you didn't say it was it could be from any event. the cross country skier is just going down hill. if you are gonna put a title like that on it then it has to be more than just good composure. where is the "thrill of victory and the agony of defeat"? there were so many "firsts" that happened this year and to me these are just regular pictures. none of these screamed any emotion. i'm not into the blur thing so those don't work for me. the ski jumper with the rings in the goggles is a top 5 shot, yes. didn't know Getty was the only agency on site... nice shots, but so many others not from Getty which are quite impressive. kind of disappointed that it's so Getty focused, it could be the 10 best photos from Getty at the Olympics, which would be more objective. that being said, a few of them are really cool for sure, and the photographers out there did an amazing job. You're definitely right. I do think the shots in here are all remarkable, though. I should've clarified these were all from Getty sooner in the article - I apologize. I love the third one...shows the emotion really well. I totally agree! It pulls the viewer right into the moment. I honestly think unless they're shot really well, the opening ceremony photographs could quite cliche. I didn't see any I was super impressed by. It'd be cool if you shared some that inspire you! I have to agree with you on the fact that the Guardian for me (I'm in Canada) provided some of the best photos coming out of the games. Much better collection that what is shown here. Many beautiful photos there, too! That would be awesome!! There's always the upcoming summer olympics! Yes, that's true. My wife and I were talking about it. However, we both are bigger fans of the winter Olympics (Canada does so much better in those games) and it does give us more time to prepare. Let's see. Sports photos can be ho hum, very much been there done that. These, not so much. There are some really superb images in here. Thinking about what we would have had to do at the 84 Olympics on Lake Placid to get images. If your focus was off or the exposure wasn't spot on you were often out of luck. Thankfully negative film had a little more exposure latitude than slide film. I recall the autofocus on my old N8008, ugh was that painful by today's standards. Great collection, thanks for doing this!